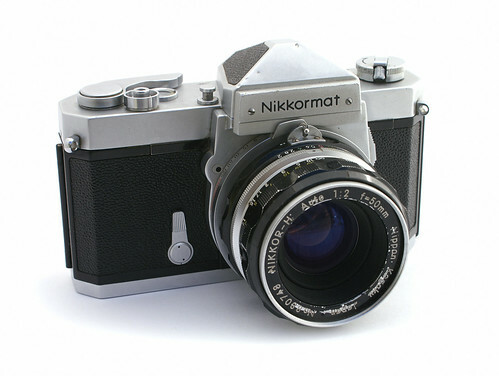 This camera from Nippon Kōgaku was the successor to the Nikomat/Nikkormat FT series. 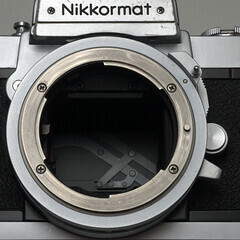 TTL metering is centre-weighted whereas that of the FT averaged the frame. a shutter speed display - via a Judas window. 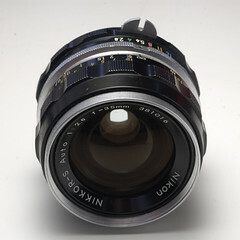 The lens mounting procedure was slightly simplified. 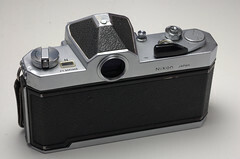 The FTN was produced until 1976, with minor modifications. 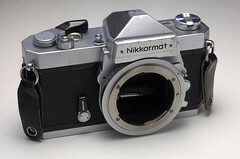 Nikomat & Nikkormat FTN Camera Bodies" in Richard de Stoutz' "Nikon F Collection & Typology"
Nikkormat at Classic Cameras by RaúlM.